A big thank you to everyone who attended our Annual Club Handicap Tournament last weekend. 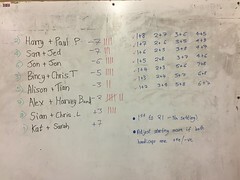 We had 8 pairs enter and everyone played everyone else in a round-robin format. 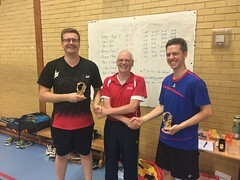 Congratulations to Alex and Harvey who won this year's tournament. The handicaps and each game's score is listed below.